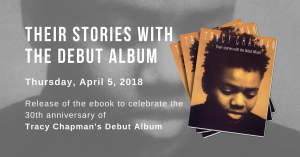 Sheer artistry might be the best way to describe Tracy Chapman’s stunning performance at the nearly sold-out Orpheum on Tuesday. She transfixed her fans with fiery political anthems, killed them softly with the most hushed love songs imaginable, and won them over with a varied repertoire that has only deepened since she was a student at Tufts in the late 1980s. Along the way, Chapman soothed on acoustic guitar, rocked on electric, and wailed on drums. She fused coffeehouse folk with Billie Holiday-like soul and soaring gospel. And she finally thrilled the crowd by pulling out a Les Paul guitar to perform ”Give Me One Reason” (her love song of love songs) with a double-time coda that was a sudden but welcome dose of punk-folk. It was a fitting climax from a woman who has always done things her own way. Tracy Chapman seemed puzzled by the request of a vociferous fan early in her show Tuesday night at the Orpheum. “You want me to rock ‘n’ roll?” Chapman asked. Indeed, the former Tufts student and Harvard Square busker received a warm bearhug of a homecoming from her fans, who were so boisterous they bordered on annoying. Chapman, 41, did rock ‘n’ roll a bit. But mostly she blended her gorgeous love songs with tunes that expressed her liberal political views. The Cleveland native truly is a voice for the underprivileged and disenfranchised. She opened with “Subcity,” which featured the line “I’d like to please give Mr. President my honest regards, for disregarding me.” The vitriolic “America,” from her new CD “Where You Live,” was a bitter look at life today in the United States. The timeless “Talkin’ Bout a Revolution” from her Grammy-winning 1988 debut followed; “the tables are starting to turn,” she sang. Perhaps it’s coincidence her best music has been created when a Bush occupied the White House. Martha’s Vineyard-raised Taylor, sweet baby of James and ex-wife Carly Simon, opened with a short, effective set that included a cover of Prince’s “Nothing Compares 2 U.” It’s obvious from Taylor’s songwriting, vocal style and guitar playing that his dad is a big influence. Tracy Chapman, with Ben Taylor, at the Orpheum, Boston, Tuesday night.